We love the natural look of freshwater pearls. So we paired them with faceted crystal teardrops beads to make these elegant earrings. 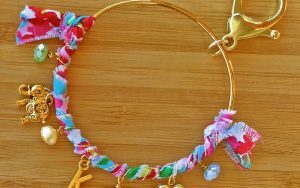 We used our favorite wirework techniques to make them, and we can’t wait to show you how! Watch the video to see how we made them, step by step. Then make your own pair following the steps below. 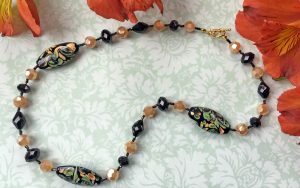 Here’s the video we made for this Wirework Jewelry Tutorial. Did you know we have a YouTube Channel? We post new video tutorials every week. Come see it and subscribe if you like it! 1. 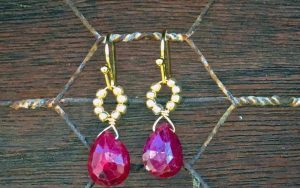 To make the first earring, cut a 3″ length of wire and feed on a teardrop bead. Slide it to the center of the wire. 2. 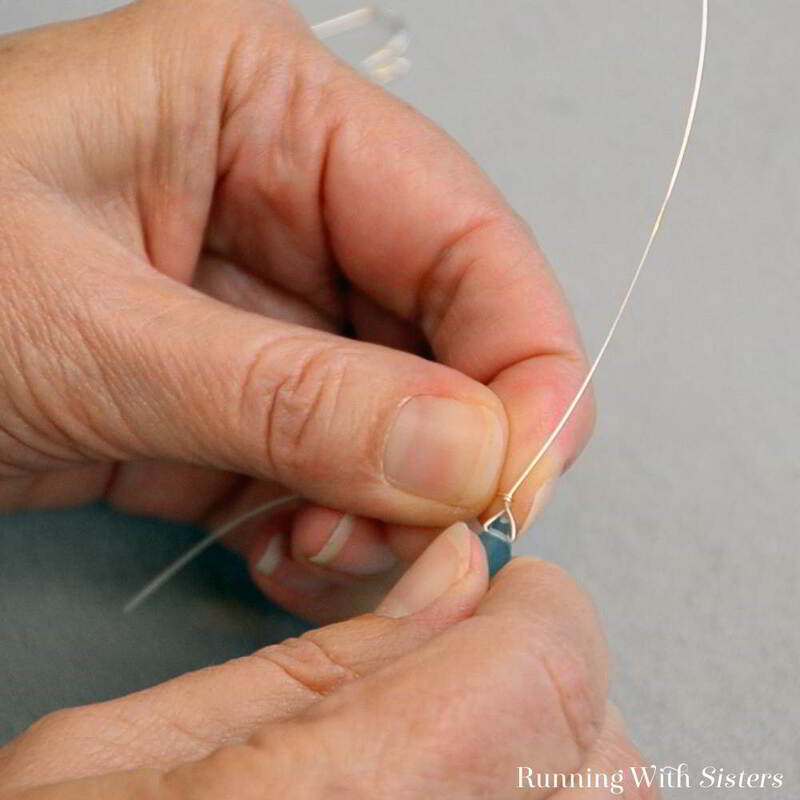 Using your fingers, bend the wire ends up and over the top of the teardrop so they crisscross. 3. Bend one of the wires straight up, then rotate the bead to wrap the other wire around the straight wire two times. Trim the end of that wire with the wire cutters. 4. Next, make a wrapped loop at the top of the teardrop dangle. 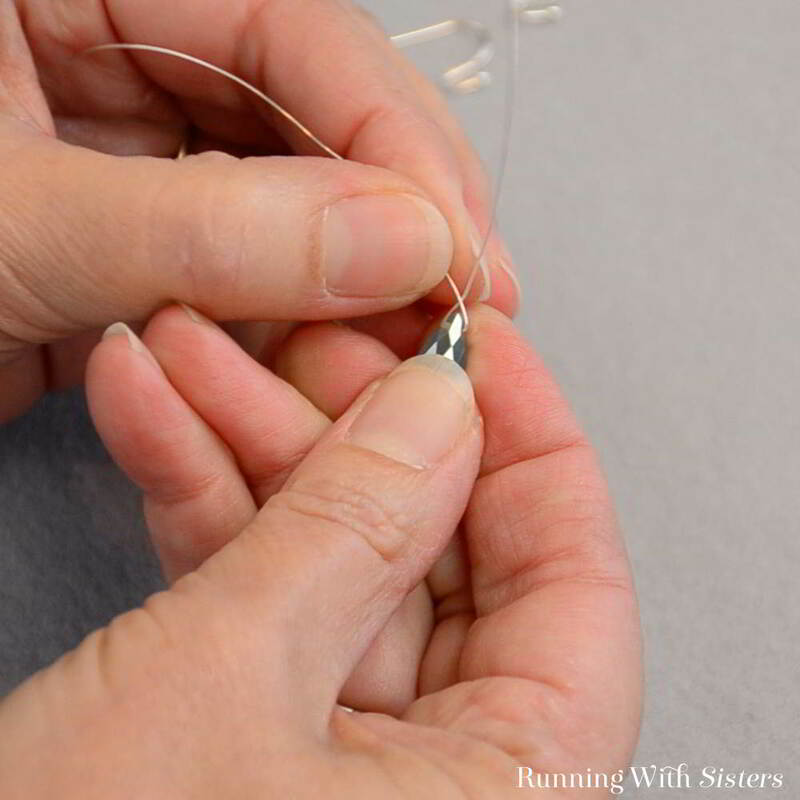 To do this, grasp the wire above the teardrop bead with the round-nose pliers and bend the wire 90 degrees. Reposition the pliers to the top of the 90-degree angle and bend the wire over the top jaw of the pliers to create a half loop. Reposition the pliers so the bottom jaw of the pliers is in the half loop and pull the wire around the pliers to complete the loop. Then hold the loop across with the round-nose pliers and wrap the wire around the neck (under the loop) two times. Trim the end. 5. For the pearl component, cut another 3” length of wire and make a wrapped loop in one end. 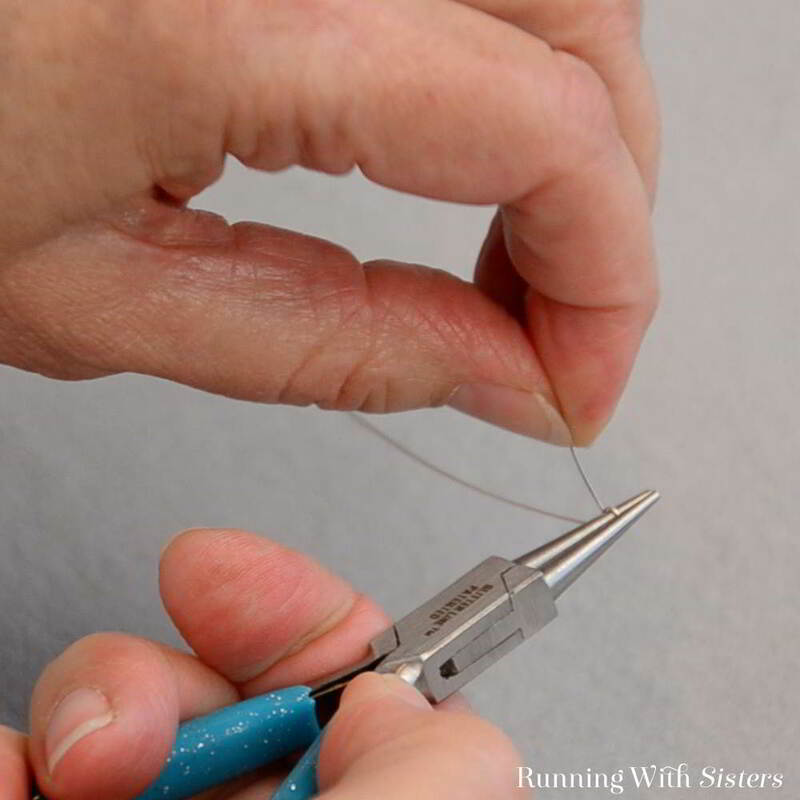 To do this, grasp the wire about 1/3 of the way down from the end with the round-nose pliers. Bend the wire 90 degrees, then reposition the pliers to the top of the wire, just above the 90-degree bend. Bend the end of the wire over the top jaw of the pliers to create a partial loop. Reposition the pliers so the bottom jaw of the round-nose pliers is in the partial loop, and bend the wire around the bottom jaw to complete the loop. Hold the loop across with the round-nose pliers and wrap the wire around the neck two times. Trim the end. 6. Slide 3 freshwater pearls onto the wire. Make a wrapped loop at the end––but leave the loop open! 7. Slide the teardrop dangle into the open loop. Then wrap the loop by holding it across the loop with the pliers, and using your fingers to wrap the wire around the neck twice. Trim the end. 8. 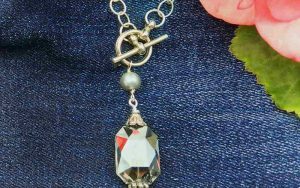 Feed the earring wire into the loop at the top of the pearl component. 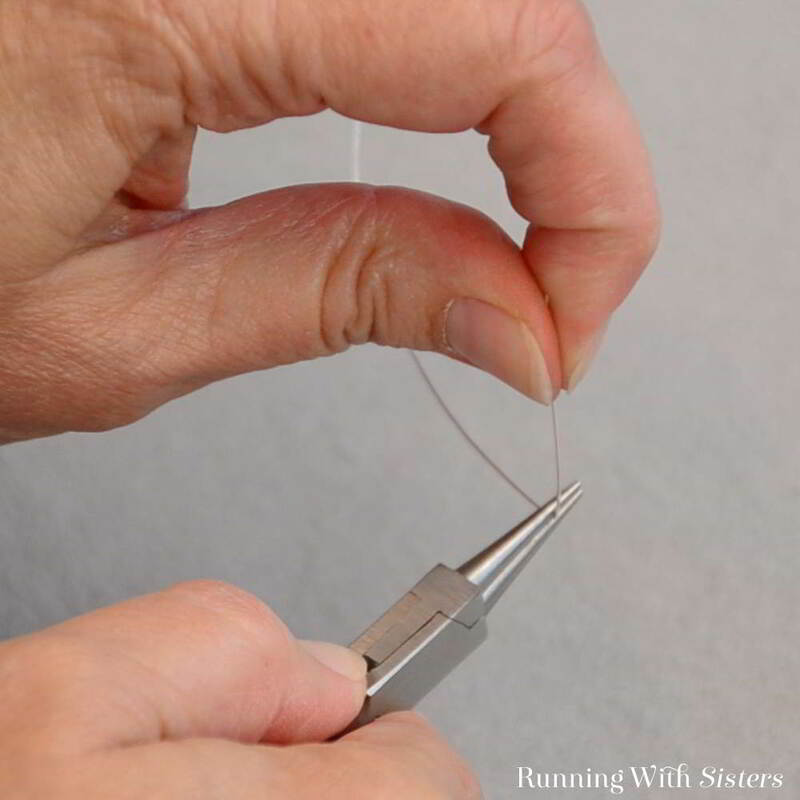 Use the pliers to press the earring wire loop closed. Repeat to make a second earring! 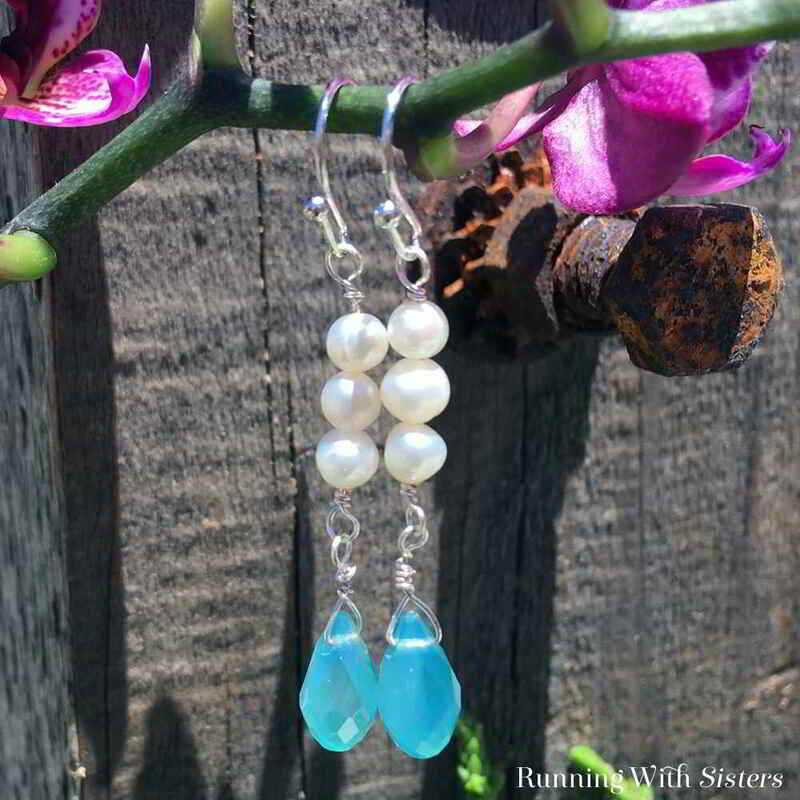 We hope you like these Crystal Teardrop & Pearl Earrings! 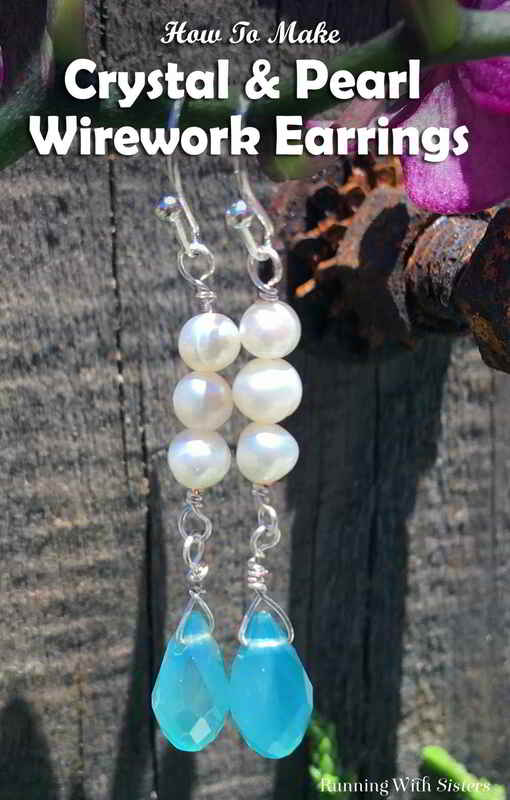 Once you learn this simple wirework, you can make all kinds of dangling earrings. Fun! 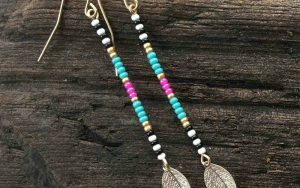 If you have any questions while you’re making your earrings, just leave us a comment and we’ll reply. We’re happy to help! These are absolutely beautiful. I always run out of ideas with making earrings. These I will make and love looking forward to wearing them. Will post a picture as soon as I can. Thank you girls.